A market study is about two C’s- customers and competition. Do you have enough customers to start your business? How much competition do you have?-is it so much that you can’t succeed in your market? The aging life geriatric care management market is growing. Rising geriatric population base, the growing number of chronic diseases and increasing number of long-term care services drives the monumental growth of the geriatric care services market size over the next 50 years. By UN estimates, the elderly population is estimated over 800 million in 2012, projected to surpass 2,000 billion by 2050. That is the good news. But do not be deceived. To start an aging life or geriatric care management business you have to look at your individual market to find out if you have that glowing opportunity is in your location. This means doing your own market sizing. 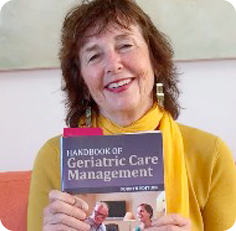 To start a Geriatric Care Management business PLUS to write a major section of your GCM business plan, you must describe the customers you intend to serve this is your market assessment or opportunity. It tells you and investors, if you can even find them and key whether you will have enough customers to make money. Start with a definition of your ideal client. Example: Woman, 85 years old with chronic care needs who has an income or liquid assets of $500,000 or more. You want to list the customers who will reward you the most financially. How many of these ideal clients are in the area you wish to serve? You need do an analysis of the age and income levels. Generally, geriatric care management customers are over age 85 or are disabled younger people with incomes in the range of the top 10% in your community. Your customers are also the local overstressed adult children of clients, long-distance caregivers with family members who need help and live in your community, and third parties who may hire you as a GCM such as trust officers, attorneys, conservators, or guardians. You need to do market research to define the size of the market in the area where your business will be located (e.g., how many people over age 85 live in Modesto, California, how many third-party target markets such as trust departments are in the town?). This type of demographic information may be available from U.S. Census Bureau reports local Area Agencies on Aging, local chambers of commerce, local hospitals, and even members of the local media who have done their own surveys. You can use the Internet to retrieve U.S. Census data in your area, and in addition, you can Google your State Department of Aging, find your local Department of Aging, and then find all senior services that may have data on older people in your area. Find out if you really can make money, turn a profit to help you so good. Learn how to do your market sizing and competition survey and learn whether you have enough customers in your area to succeed and make money in your startup care management business. Don’t Guess and fail.